Lifestyle Crafts is releasing a brand new line of dies – Today! The line is called “Possibilities” which is the perfect name because with 30 (yes! I said 30!) new dies the possibilities are endless! 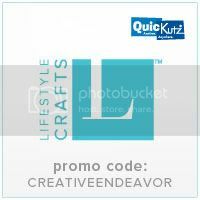 This is Lifestyle Crafts' highest value line with products containing up to 22 dies and sizes ranging from .25" to 5.75". The dies are so easy to use and work so nicely with the Epic 6 Machine. - and roll them on through! The sweet people over at Lifestyles sent me a few sets from the new line to try out and these babies are awesome! Once again – Endless possibilities! I have had so much fun the past week or so playing around with them and creating fun things for my home and kids. I know we are in the middle of summer – but I started thinking about fall – it’s never too early to get your décor made – then when fall is actually here – you just put it right up! (at least that is how I justify it!) I used the Nesting Frames 8 – they are fun little wonky squares – and scrapbook paper to make this fun Fall Art Collage. I love it so much can’t wait to display it my home! I have the full tutorial coming up later this week so keep an eye out! I used the Nesting Octagon Dies to create this fun little color learning book for my son. I cut out the colored Octagon and then used a smaller one to cut out the name of the color – I will have a full tutorial on it later this week! Did you know that the Epic Machine can cut Metal??!! Swwweeeeeetttt!!! I used the Nesting Bloom Die to make some super cute metal magnets for my fridge! They turned out so cute and I can’t wait to make some more with different centers – And of course – I have a tutorial for that too coming up! Head on over to Lifestyle Crafts to check out the full line – and if you like what you see and have that sudden urge to splurge (like me!) use the promo code “creativeendeavor” and get 20% off your entire order! And the best thing is – it never expires! So you can use it whenever you would like! There are so many fun things that you can do with the Epic, the dies and the Letterpress! For more ideas click here, here and here! Such fun projects! I love them all, but especially those darling metal flowers. So cute!